3 Bedroom Semi Detached House For Sale in Maidstone for Guide Price £250,000. 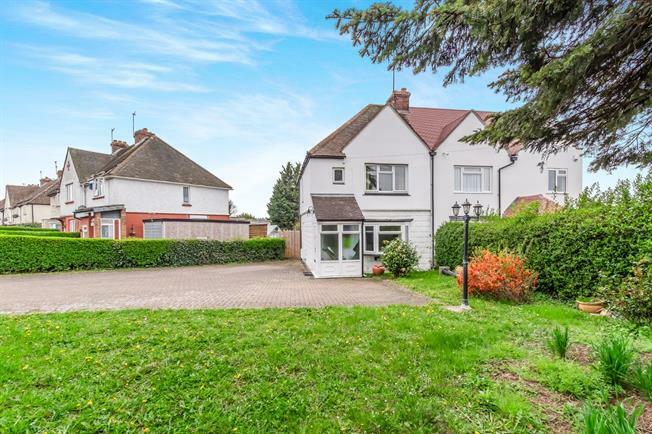 A great opportunity to acquire this super 3 bed semi located ideally the M20 junction at junction 6, the town centre, station and the town itself. The generous accommodation includes an entrance hall & WC, 14' living room, a 16' modern kitchen/dining room and a conservatory overlooking the rear garden. The 1st floor comprises of 3 separate bedrooms and a family bathroom. Outside to the front is off road parking and there is a long rear garden which is mainly laid to lawn. With gas central heating & double glazing.